← Prevention is the cure! Are there natural solutions to teeth whitening? 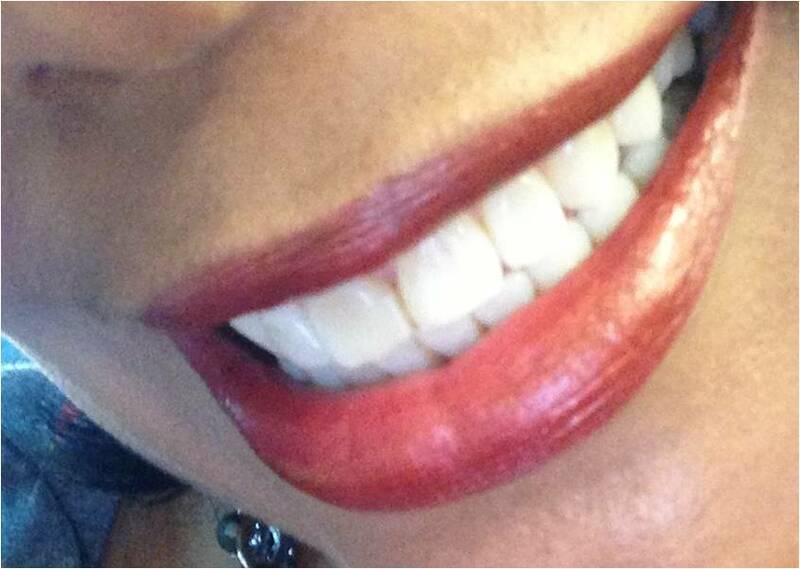 These are my teeth — the photo taken with my iPhone, in natural light, during my commute to work this morning. May I let you in on a little secret, for the record? I really want whiter teeth. REALLY, REALLY WHITE TEETH. There, I said it! Despite feeling very successful for over 30 years about my oral hygiene and my smile, I am still tempted every time I visit the dentist to try a professional treatment to get my teeth their very whitest. What stops me, you wonder? Well a couple of things. First, my dentist asks me, “How satisfied are you with the whiteness of your teeth”? And I’ll admit that I’m 90%+ where I would like to be. He then asks how would I feel if I had some long-term tooth sensitivity following the whitening procedure? There’s a small risk of this happening, but he knows me — so he asks. Hmmmmm … given that I’m really adverse to nuisance problems that I could have avoided … and that I really object to paying cash for nuisance problems that I could have avoided … the answer is that I have zero tolerance for taking that risk. So no laser whitening treatments for me, thus far! Swish 1 tablespoon of organic extra virgin coconut oil (solid at room temperature) in your mouth for 10-15 minutes. It’s reported that after a few days, your teeth will be noticeably whiter and your gums and tongue will look pink and healthy. 2) Baking soda (bicarbonate) and hydrogen peroxide. Once a week, pour 2 teaspoons (10 milliliters) of hydrogen peroxide into 3 teaspoons (15 milliliters) of baking soda. Mix these together until a paste forms. Play with these measurements until you find a consistency that you like. The paste should be similar in thickness to toothpaste. 3) Brushing your teeth with strawberry juice. Yes, it is true that strawberries can make your teeth white because of their acid content. Once a week to brighten your teeth, you can mash up a ripe strawberry and dip your toothbrush in it. Be sure to rinse thoroughly afterwards, using warm water to which a pinch of bicarbonate of soda (baking soda) has been added, to reduce acidity in the mouth. I would be interested to hear from anyone who has tried one or more of the above or other home remedy approaches to teeth whitening. I am seriously considering a “before” and “after” experiment with at least one, while tracking my progress over time. I imagine that it will take me a few months to make that decision, but in the meantime, remember to treat any teeth-whitening procedure, professional or at home, as an investment. You don’t want to lose it by neglecting to take the necessary care towards maintaining your teeth afterward. Simply rinsing your mouth after consuming meals or dark-colored beverages is a help — brushing afterwards is even better. Refrain from smoking. Smoking is a major cause of discoloration and continuing the habit quickly stains your whitened teeth. Use a straw. Following a whitening procedure, you should avoid dark colored beverages and other staining foods for 3-5 days. Using a straw regularly will help protect your teeth from stains and discoloration — consider using them especially with coffee, tea or colas because the caffeine will bypass your teeth. The Smile Routine’s Simple-6 steps are super easy and a perfect solution to help you to maintain your teeth-whitening investment. And because you use your own everyday oral hygiene products, there’s very little added costs over time — just success that you can see, feel and be proud of! I get a scaling by my dentist about twice a year and it keeps my teeth nice and white. a professional teeth whitening service provided by your dentist.